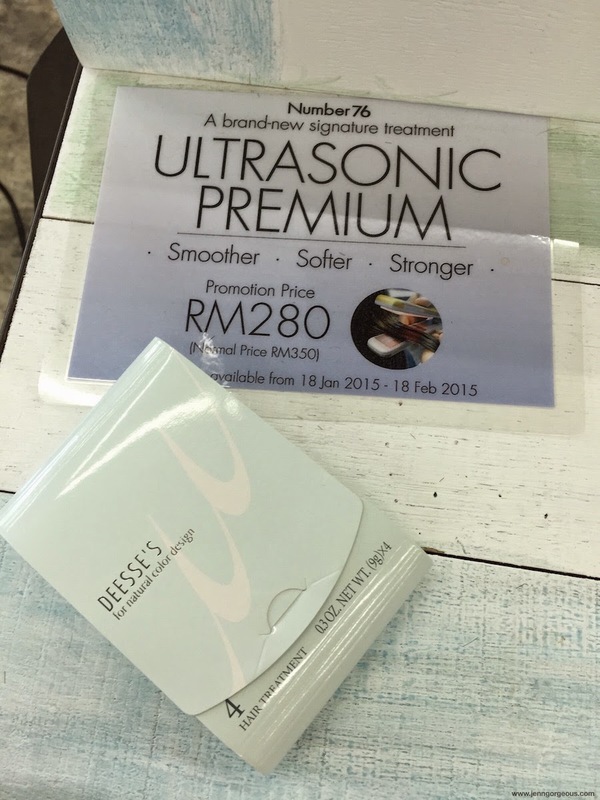 Today I'm going to do a full review on Number76 ultrasonic premium hair treatment. I did this treatment last month along with a hair cut and also hair colouring. My hair could affect my mood. Even though I have the prettiest makeup and clothes on, but with a bad hair ( frizzy, dry, unmanageable ), it ruined my day. Do you feel the same too? I bet everyone feel the same. To keep hair looking healthy, we need to do basic hair care routine ( shampoo and conditioner) , and intensive treatment, especially after doing any chemical hair service. Besides that, we also need a reliable hair salon to give the good service and style our hair. I'm very picky on choosing hair salon, I have experienced with bad hair salon that ruined my hair before. So when I first came here in KL, I have no idea which salon should I go. I tried quit a few and finally I settled down with Number76 salon, and it's my third year with them. I'm very happy with their service. This hair salon is from Japan. 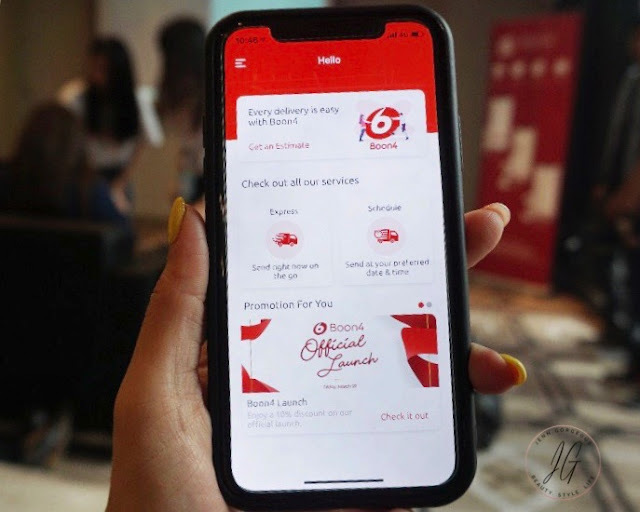 They provide cut, wash, colouring, perming, rebonding, hair extension, treatment, and styling.You can find local Malaysian stylist and also Japanese stylist. They give professional consultant of what types of hair style that suitable for you, and what service that suitable for you. They handle your hair with love and care. And that's why I keep going there for almost 3 years now. This is Number76 Salon @Mid valley, the whole environment is comfortable. They recently renovated this place and give a brand new look which let more light come in the whole space. If you go for hair colouring, the colour will show clearly before you walk out the salon. 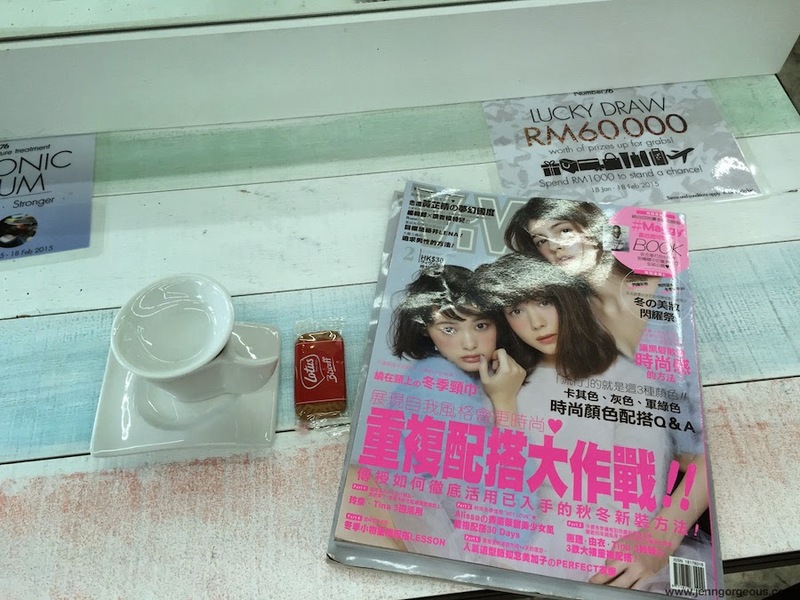 They also provide magazine, tea and cookies while you are pampering. I'm not sure if that hook is a bag hanger. Let's get started with my review on their new hair treatment called Ultrasonic Premium hair treatment. They provide brand new Ultrasonic premium hair treatment by using improve formula, techniques and result than the normal Ultrasonic hair treatment. 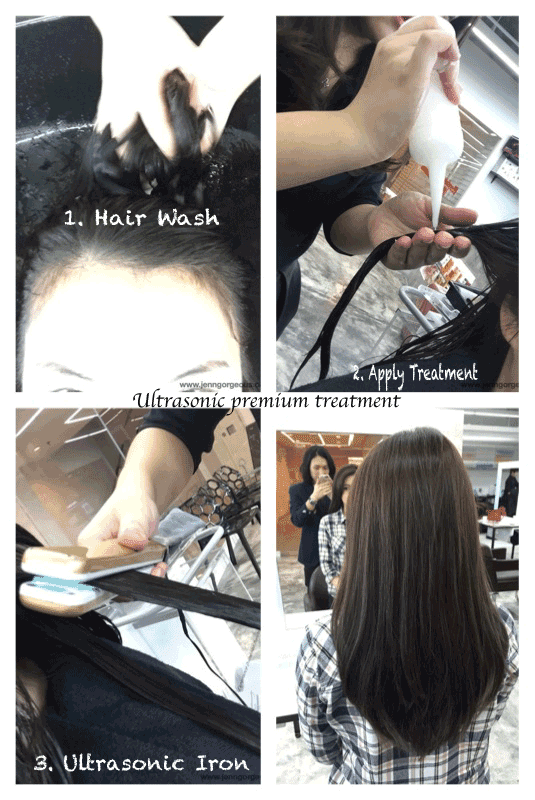 What is included in ULTRASONIC PREMIUM HAIR TREATMENT? This Ultrasonic premium Hair treatment claim that it can nourishing, detangle, softness, shine, smoothness, stronger, and healthier looking Hair. With their signature ultrasonic iron tool, that has high speed vibration technology and pushes the mega nourishing treatment deep into your hair structure. This is an exclusive treatment by Number76 salon. - The environment of the salon is comfortable and they also provide private room for muslims. Beside that free wifi and surf the web while waiting it to be done. - They handle your hair with care and gentle. - Doesn't have weird smell or strong perfume smell. - Instant result, noticing so much different before and after. My hair is smoother, softer and very healthy looking. - I've done highlight last december, and my hair did become drier and tangle hair ( I didn't have time to do my treatment on the same day). Impressive result after I've done this treatment, when I run through my hair with my hand, the tangle reduce 90%. 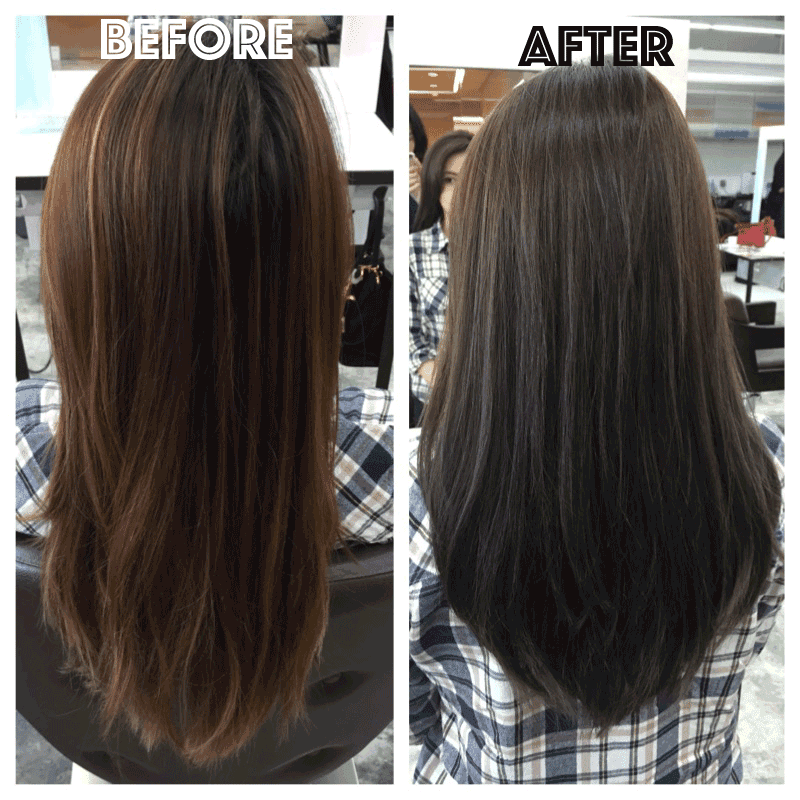 - Result last longer, after 3 weeks my hair still look healthy and smooth. - It takes about 1 hour to do this treatment, but the result will definitely surprise you. - Quite expensive, but this treatment could last longer and you just have to maintain by using hair mask at home. Overall, I'm very satisfied with the outcome from this ultrasonic premium hair treatment. On the same day, I also did hair cut and hair colouring, you do know how much damage colouring can be right . But I'm surprise that not only my hair get a new colour and it also become more smoother and softer just because I did the treatment. I'm very happy that I can get back my healthy looking hair although I've done damage to it by bleaching my and colouring. My hair is smoother and softer and easy to take care for at least 3 weeks after the treatment. The chances of bad hair day is almost none! Although it took 1 hour to complete the whole process and spending Rm350, I think it's really worth it. If you want to rescue your dry frizzy hair, I highly recommend that you give this a try, you will love it! ADDRESS : S4, Pamper Floor, Starhill Gallery, Jalan Bukit Bintang, 55100 Kuala Lumpur. Disclaimer: Ultrasonic premium hair treatment is sponsored for 100% honest review.